Nook Users - Get Do a Day for your Nook device today! 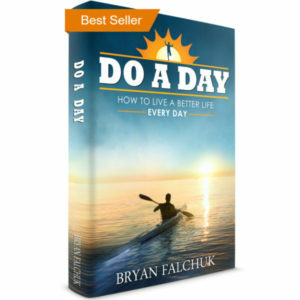 Do a Day – the philosophy that I use to change my life and achieve all I hope to achieve. Learn what the approach is, how it can help with so many different situations and goals, and how to apply it to your life. People don’t change. Lives do. Do a Day is how you can change your life. 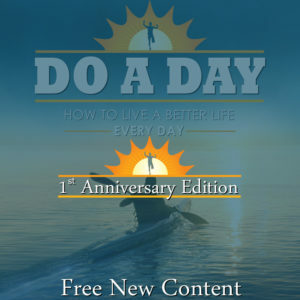 Get your copy of Do a Day on Barnes & Noble Nook to start changing your life today! Bryan Falchuk overcame adversity, lost nearly 100 pounds, ran a marathon, dramatically changed his diet and created an approach to help others live a better life, every day. That way is Do a Day. Like so many people, Bryan has faced challenges in life, like obesity, depression, work stress, the responsibilities of parenthood, the potential of losing his wife to illness, and more. And he struggled, like anyone else. Through that struggle, Bryan learned the secret to not just overcoming any individual challenge, but creating a life of achievement, happiness and harmony. 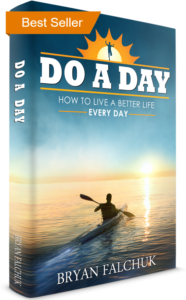 In Do a Day, you will learn how to make each day contribute to your goals so you can live the life you want to live – a better life. Do a Day will free you of the burden and judgment of yesterday‘s choices, while relieving you of the pressure of what tomorrow may bring. By teaching you how to identify your true motivation and how to use that to focus on what you have to do today, Do a Day will help you change your life. If you are a user of the Nook ereader or Nook app, this is a great way to get Do a Day and keep it with you on the go! This book is very useful if you are trying to stay focused on what is important and achieve good things in your life. With the accumulation of responsibilities and distractions, it is easy to lose sight of priorities and what is really important. Bryan offers very practical methods to making improvements bit by bit, or day by day. This book will help you make sure the good things accumulate and before you know it, you've reached places that you once doubted were for you. You'll reach places that you once doubted were for you. I can't put your book down! So good! This book is a great way to think about the world – understanding of, and permission to make, mistakes without unraveling everything you're doing to be a better person – wrapped in an inspiring story. This book is a great way to think about the world! This book is centered around a simple and powerful idea: a lifetime of success can’t be achieved in a day, so don’t approach it that way. Rather, focus on making each day a success. Likewise, a day’s failure doesn’t ruin the successful life you’ve been leading, so don’t let it throw you off course. 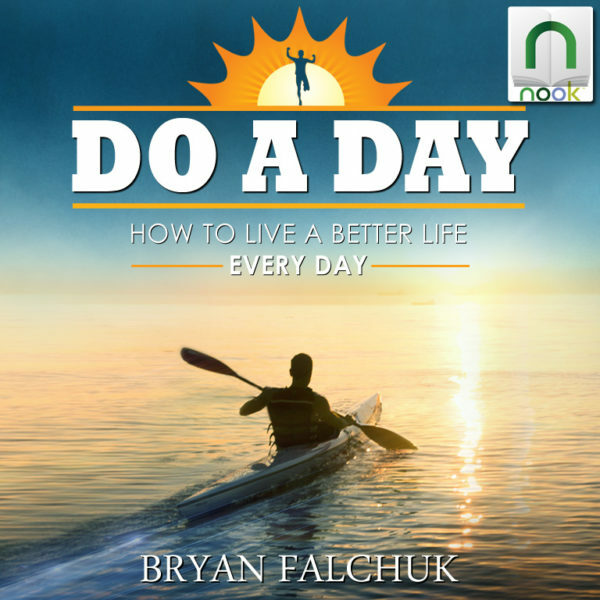 This is easier said than done, of course, but Falchuk guides the reader through techniques for implementing Do a Day for better fitness, better work performance, and better relationships. More importantly, he explores the various sources of motivation in our lives and offers guidance on finding the specific motivation we each need to continue working toward our goals. He’s a warm and personable writer and has kept this book concise and easy to digest. I recommend it to anyone who’s ever worried about being able to maintain exercise, healthy eating, or a demanding career over the course of a lifetime. I recommend it to anyone who’s ever worried about being able to maintain exercise, healthy eating, or a demanding career over the course of a lifetime. Well worth the read!! Consider this a manuscript for living. Bryan has "hacked" his existence, until he found the right formula for living a life of emotional and personal satisfaction. Highly recommend to anyone looking for proof that you CAN overcome any obstacle! Highly recommend to anyone looking for proof that you CAN overcome any obstacle! I came across this book at a time in my life when I was feeling discouraged about finding my way back to the person I was and believed myself to be after having two children, quitting my job to become a stay-at-home mom and being diagnosed with a chronic disease. I knew what changes I wanted to make, but where I currently was felt miles away from where I wanted to be. The “Do a Day” philosophy made me realize that the anxiety and doubt I felt was because I was trying to conquer too big of a goal at once. 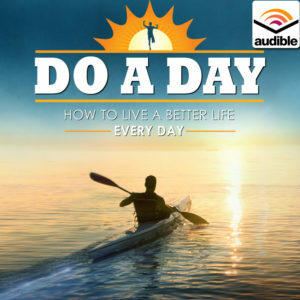 “Do a Day” encouraged me to focus on bite-sized goals and stringing together good decision after good decision and if I have a bad day or make a bad decision, all I have to do is make a good one to start moving forward again towards those goals. The real “ah-ha moment” I had is that reaching a goal is about consistency not about being perfect all the time. All of the author’s honest stories about himself and his own failures and successes really illustrated these takeaways, which gave them more meaning for me than someone just spouting advice. I appreciated the friendly tone of this book and the author’s genuine interest in helping others. The real “ah-ha moment” I had is that reaching a goal is about consistency not about being perfect all the time. 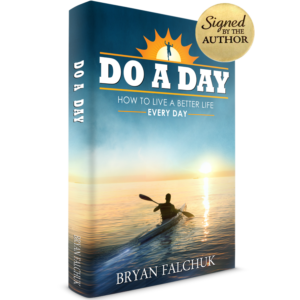 "Do a Day" is a fantastically simple approach to taking hold of your life and achieving what you want. Bryan builds off his own experiences, often bravely shared, laying out in a very clear manner how any challenge in life, taken step-by-step becomes so much easier than confronting it as a whole. Whether it's the traditional challenge of losing weight, more profoundly changing how you live you life, or overcoming a sudden obstacle, Bryan's philosophy that you can Do anything for a Day is as impactful as it is obvious. Grab this book, follow Bryan's journey, apply the approach in your life, and see the change you are aiming for. As Bryan wraps up his text... "You can wake up and Do it"! 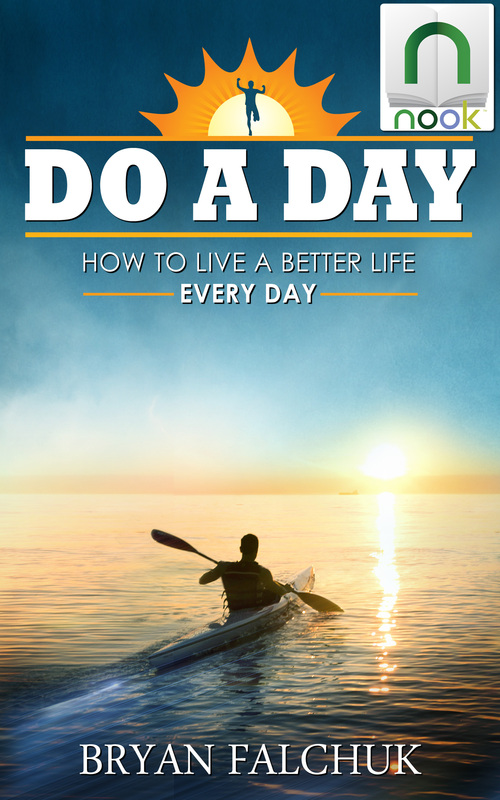 "Do a Day" is a fantastically simple approach to taking hold of your life and achieving what you want. This book is so helpful for anyone who faces challenges in life – and who doesn't? You learn an approach to deal with the tough things we all face or to go after your goals and dreams. Then you get help putting it into action for your life. You learn an approach to deal with the tough things we all face or to go after your goals and dreams. I just finished your book after listening to your interview on the Plant Yourself Podcast. Your book has changed my life and given me the tools to keep on going. Thank you! Your book has changed my life and given me the tools to keep on going. Thank you! I had little prior knowledge of the 'Do A Day' philosophy so went into this with an open mind. Having read many books encompassing similar concepts I was curious to see what new nuggets of wisdom unfolded. What I found what an honest, heartfelt and inspirational message written by a man that not only knows his stuff but has lived and breathed the philosophy and used the tools in a range of areas to enhance his life with transformational results. I was impressed with how this book offers practical guidance and personal examples that can be applied to everyone, whoever they are and in different ways. This book oozes passion and an important message on how to enhance your life. A very good, thought provoking read. This book oozes passion and an important message on how to enhance your life! I tend to be skeptical of self help concepts and typically can't relate. But I wasn't more than a handful of pages in when the most simple and profound concept hit me over the head. "You can do anything for a day". I took that on as a personal challenge. Could I not do a bad habit for just one day? Yes! I have to say this is a great motivator and easy read. This is a great motivator and easy read. This book provides practical steps that can be applied to anyone at any aspect of life. It doesn't have any short term gimmicks but a fresh perspective on how to live a better, happier and more positive life. One of the ways it has helped is to not allow the hardships in the workplace to spew into other aspects of my life or allow them drag out longer than they need to. But rather, leave them in their "respective Day" and still be able to enjoy life and be successful tomorrow! It's an easy read so I recommend it to anyone! A fresh perspective on how to live a better, happier and more positive life. Personal and professional goals often feel so daunting because we set such far off and lofty ambitions for ourselves. As great as it is to reach for the stars, it becomes stressful and demoralizing. For me, that stress takes over and distracts from the original purpose. Reading Bryan's book is like chatting with an old friend and trusted mentor. He is a friend who is open, honest, and inspirational because he is authentically engaged in reaching the same lofty goals himself. I was blown away by Bryan's candor and willingness to share such challenging experiences in his life. It made me more willing and able to talk with myself and with those I love about my own personal and professional goals: I would like to healthily lose another 20lbs, I would like to improve my impact at work, I would like to limit myself to two drinks a week, and I would like to strive to be an even better loving husband. Will I do all of these things perfectly tomorrow? Probably not. But thanks to Bryan's story, his honesty, and most importantly his Do a Day method, I feel equipped to Do the Day tomorrow successfully with his steps as my guide. And I will do it with a lot less stress knowing that if I don't do everything perfectly I can return to Bryan's book and his stories to find the inspiration and methods to Do a Day again the next day. 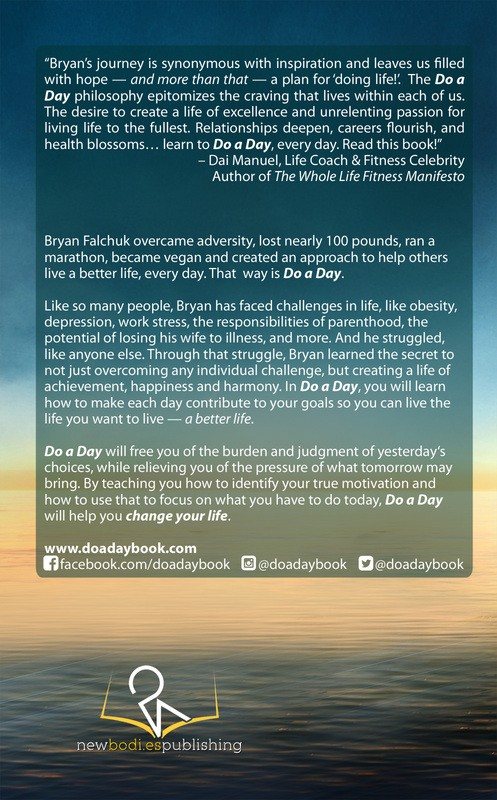 Thanks to Bryan's story, his honesty, and most importantly his Do a Day method, I feel equipped to Do the Day tomorrow successfully. This book blends autobiographical anecdotes with philosophy in a way that makes the book interesting and less clinical than many self help books. The message (essentially, take one step at a time) is simple and powerful...it's not a new concept, but the book illustrates unexpected applications, and the author's personal journey shows just how powerful it can be when applied to everyday life. This book makes big changes feel less intimidating. This book makes big changes feel less intimidating. What I love most about this book, and Bryan's approach, is that it applies to anyone and everyone. Whether you're trying to exercise more, eat healthier, be a better parent, or improve your life in essentially any way, Do a Day gives you the tools to do it. Bryan shares his own life experiences (good and bad), but it never feels preachy or contrived. A really great read at any stage of your life. What I love most about this book, and Bryan's approach, is that it applies to anyone and everyone. I got Do A Day last night and started reading, and I do not want to put it down. I just wanted to keep on reading to find out more! I got Do A Day last night and started reading, and I do not want to put it down! Bryan, got the book today and i have to say i love it. Your story is incredible and the idea of Do a Day is similar to the mindset I've come to learn the past few months: building tiny habits for "impossible" tasks and having the only judge of the outcome be myself. Once i realized everything i do in life, and especially my own happiness, is not dependent on others: family, friends, or stranger's perception of me, it has made the world a much brighter place. I follow a similar process with my end goals (big picture) guiding an overarching strategy, then break up to-do-lists by the year, month, and day. It definitely takes a load off. Just wanted to say congrats on the launch - i've already spoken to a few people about it. Thanks for the read. Building tiny habits for "impossible" tasks and having the only judge of the outcome be myself. For anyone out there who is feeling overwhelmed with trying to get out of a rut, this is the book for you. It motivates you to make better and healthier choices without making you feel badly about yourself. It's so easy to read and relatable, and Bryan shares many personal stories: it's like having a conversation with a kind, honest friend who doesn't judge.